Welcome to Shiksha New York. 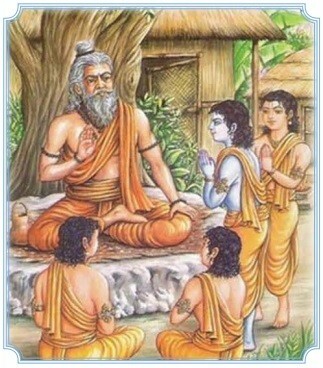 Founded with the vision of endowing our children with education in the customs, practices and traditions of Hinduism, the Shiksha New York aims to nourish them with the wealth of India’s Arts and Cultural heritage and instill in them a lifelong commitment to Hindu spiritual values; the values we cherish as parents and wish to pass on to our children. 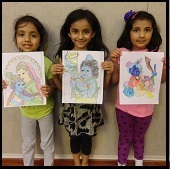 At the Shiksha New York, children choose from a variety of extracurricular topics and learn the subjects of their interest from qualified teachers, thus enriching their spiritual and cultural development through traditional classes in Hinduism, Dance, Language and Music. Children learn in the devotional environment of Radha Govind Dham where we provide a fun-filled learning experience. 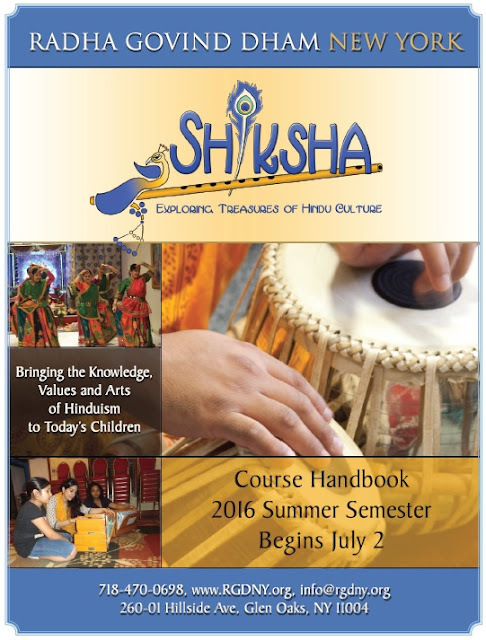 Held every week, Shiksha New York’s classes provide a consistent, year-long extracurricular enrichment for children. I invite you to review the descriptions of classes and guidelines presented in this handbook and use this invaluable opportunity to invest in the extracurricular education of your children by enrolling them at Shiksha New York. I also encourage you to be part of the Shiksha New York – a non-profit organazation – by being its teacher, volunteer or donor. Thank you for your interest in the Radha Govind Dham Shiksha.